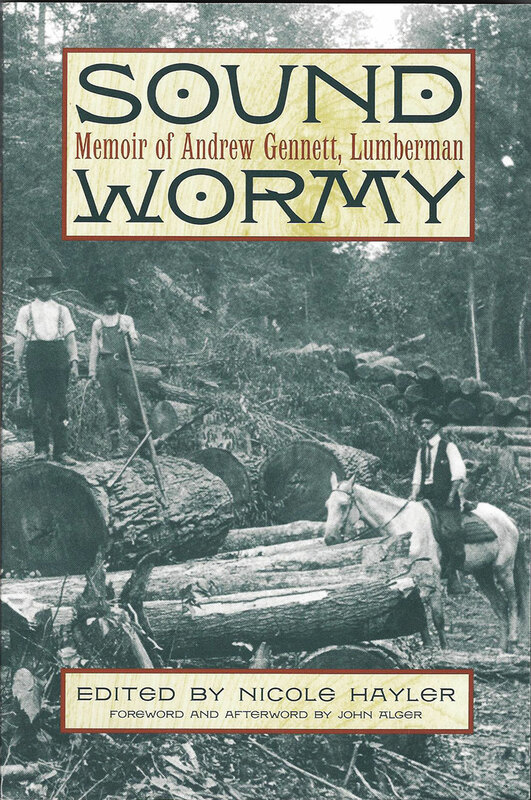 Set in what remains some of the wildest country in the United States, Sound Wormy recalls a time when regulations were few and resources were abundant for the southern lumber industry. In 1901 Andrew Gennett put all of his money into a tract of timber along the Chattooga River watershed, which traverses parts of Georgia, South Carolina, and North Carolina. By the time he wrote his memoir almost forty years later, Gennett had outwitted and outworked countless competitors in the southern mountains to make his mark as one of the region’s most seasoned, innovative, and successful lumbermen. His recollections of a rough-and-ready outdoors life are filled with details of logging, from the first “cruise” of a timber stand to the moment when the last board lies “on sticks” in the mill yard. He tells how massive poplars, oaks, and other hardwoods had to be felled and trimmed by hand, dragged down mountain slopes by draft animals, floated downstream or carried by rail to the mill, and then sawn, graded, and stacked for drying. He tells of buying timber rights in a land market filled with “sharp” operators, where titles and surveys were often contested and kinship and custom were on an equal footing with the law. Gennett saw more than potential “boardfeet” when he looked at a tree. He recalls, for instance, his efforts to convince the U.S. Forest Service to purchase undisturbed areas of wilderness at a time when its mandate was to condemn and buy up farmed-out and clear-cut land. One such sale initiated by Gennett would become the Joyce Kilmer Wilderness in North Carolina. Filled with logging lore and portraits of the southern mountains and their people, Sound Wormy adds an absorbing new chapter to the region’s natural and environmental history. Nicole Hayler edited Sound Wormy as a project of the Chattooga Conservancy, where she is Executive Director. You can purchase the book here and all proceeds go to the Gennett family.